I offer filming services, generally for concerts and recitals. I edit and produce a DVD for you to remember your special occasion. Prices vary according to length, location, and type of performance. Feel free to email me with questions. 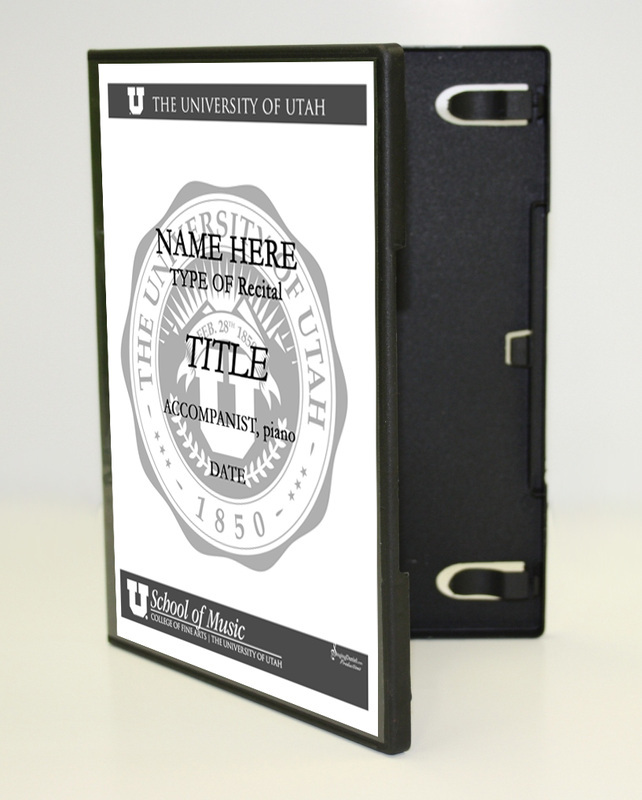 For University of Utah Students I offer a recital filming and DVD creation service. I generally will combine my video footage with the School of Music's audio recording from Dumke, Thompson, or Libby to give you excellent audio with your DVD. I use Adobe Premiere Pro CS6 for editing, and use an overlay process to sync up the audio. The result is a wonderful looking and sounding record of your special event. Since DVDs slightly downgrade the footage to standard-definition to be compatible with DVD players, I also upload a high-definition version to YouTube with an "unlisted" link (meaning it's only view-able with the exact link and not publicly searchable, unless of course you request that I set it to go "public"). Prices for events depend on length, venue, and what you would like me to do. Contact me for a quote! So, if you're interested send me an email at either SigingDaniel@gmail.com, give me a call, or shoot me a text! As a student myself, I understand budget constraints. I normally charge $300 an hour for other videography and editing services, but for student recitals I off a huge discount. I can film your recital (an hour or less) and get create a DVD of your performance for $150. This price includes filming, editing, and the production of one DVD disc. Additional discs can be added for just $15 each. For an extra $40, I can produce an audio CD as well. And you are welcome to have a copy of the raw-united footage and audio recordings for just an extra $20. You will need to provide a hard/flash drive with appropriate space. A typical recital will result in 30-50GB of footage & files. And if you're really a penny-pincher (like so many students are) and are somewhat tech savvy, you can rent equipment and do it yourself. I have three Canon Vixia M-model camcorders (M52, M50, and M500), as well as three Zoom H2n Audio Recorders. Rental prices depend on how many items you would like to rent but are very reasonable. Please contact me for questions.